Wordless Wednesday: Cause for Early February Smiles! 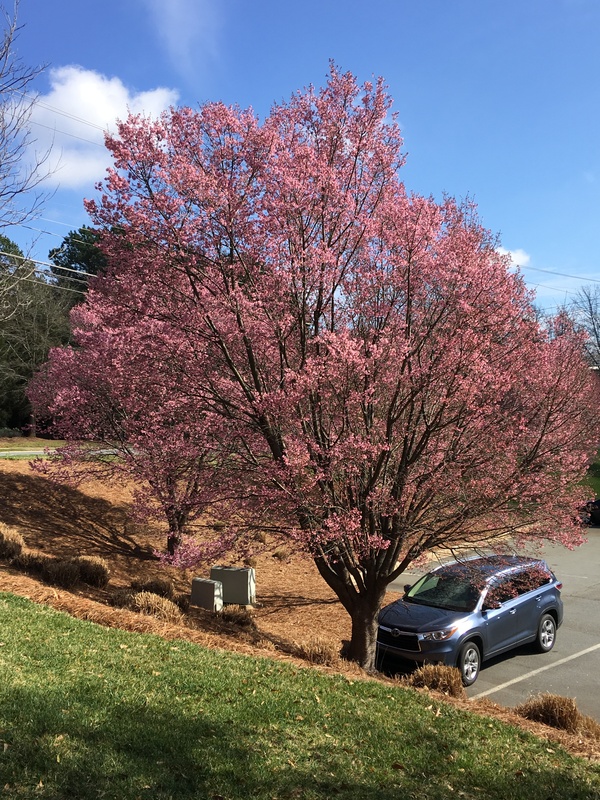 This entry was posted in Gardening, Things I See Around Town, Wordless Wednesday and tagged cherry tree, daffodils, early spring. Bookmark the permalink. 24 Responses to Wordless Wednesday: Cause for Early February Smiles! We haven’t had much winter in NY, but I am craving spring. Sorry, winter I know it’s unfair. I just love foliage that much. Fortunately, winter will pass and spring will come. Wow. Where do you live, John. Charlotte, NC. That stand of daffodils has reliably bloomed in Jan or Feb for at least 13 years. Wish I knew what the variety is. Thank you, Cathy.I’m glad you smiled. 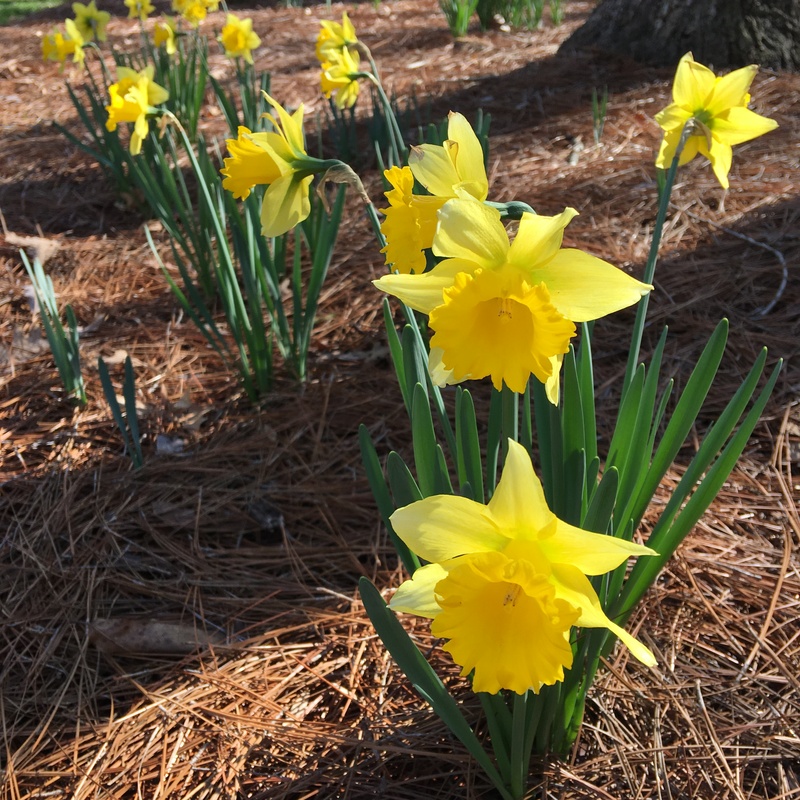 Early daffodils always lift my spirits. Daffodils always make me smile. Thank for sharing them John. Glad to know you are smiling. Beautiful Okame cherries. Ours are just beginning to show color. I was in Columbia, SC, on Monday and Tuesday and it looked like spring there. The tulip magnolias were blooming, for goodness sake! I saw a tulip magnolia in bloom here but didn’t stop to take a photo to include. It’s all quite heartening. What a treat! A break from all the white outside my window. I hope that it has helped your day. Thanks. We got two feet of snow today. Hang tough, Joseph. This too shall pass. What a sight! I far prefer your winter garden to mine, but the anticipation is always part of the excitement. I do agree. Wasn’t there a song title like that? Anticipation. So beautiful! All we have so far are the first nubs of the snowdrops coming up out of the ground. Thanks, Jason. Today is warm. I got a few chores done in the garden, and the Tete-a-tete daffodils are starting to open. Hallelujah! You are so right. Right now the warmth is coming and going.